A Beijing heritage group says it’s still waiting for the Royal Institute of British Architects to explain why it gave a large, futuristic mall and office complex in the heart of old Beijing one of its most prestigious honours. Beijing’s street names can be deceptive. Visitors to No 7A Small Arch hutong, just inside the city’s second ring road, might get a little more than they bargained for. Long gone is the stone gateway that once marked the entrance to this network of narrow streets. Now, it’s been replaced by a sinuous white arc, jacked 60m into the air, that loops and twists, connecting a cluster of vast egg-shaped buildings in an improbable acrobatic leap. 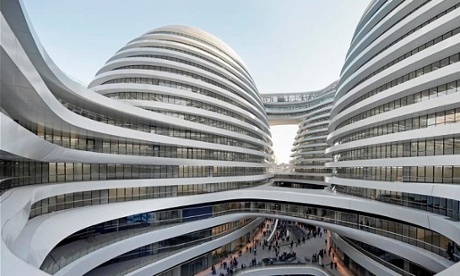 A Chinese heritage group has accused the architect Zaha Hadid of “destroying” Beijing’s old town after a futuristic new development created by her practice was honoured with a top award by the Royal Institute of British Architects (RIBA). Galaxy Soho, a panoramic 330,000 sq. metre entertainment and office complex in the heart of Beijing, is a typically avant-garde design by the British-Iraqi architect responsible for the Olympic Park’s Aquatics Centre. From the recent Weibo (Sina miniblog) post by the Honorable Ambassador of the United Kingdom, we have learned that the Galaxy Soho project, designed by British Architect Zaha Hadid, has won the 2013 RIBA award. Many of us in China were very shocked when they learned this news. The Galaxy Soho project has violated a number of heritage preservation laws and regulations, including the Measures for the Protection of Historical and Cultural Landmarks of Beijing, The Beijing City Master Plan, and Plans for Protection of Historical and Cultural Landmarks of Beijing. It has also caused great damage to the preservation of the old Beijing streetscape, the original urban plan, the traditional Hutong and courtyard houses, the landscape formation, and the style and color scheme of Beijing’s unique vernacular architecture. During the land acquisition process, the legal rights of the original hutong residents were also grossly disregarded. The Galaxy Soho Project is definitely a typical unfortunate example on the destruction of Beijing old town; but, not withstanding, it has been selected as a winner of your award. Many of us in Beijing are very disappointed and offended. 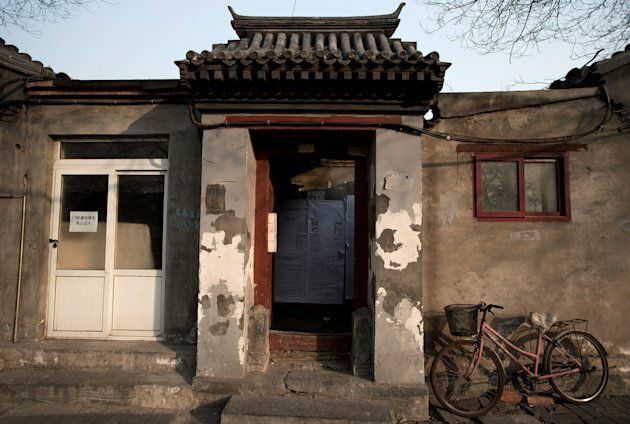 BEIJING (AP) — In a corner of old Beijing, the government may soon be both destroying history and remaking it.